Drummer Bob Bryden and singer Lynda Squires were members of The Christopher Columbus Discovery of New Lands Band in Oshawa, Ontario during 1967. As is the fate with most bands, the unit split up in 1968. Columbus' direct competition in town was an act called Reign Ghost and with an eye to find something new to do, Bryden and Squires infiltrated the rival band as guitarist and singer respectively. Soon the bassist left and Bryden snuck in former Columbus bassist Joe Gallant. Following the usual 'creative differences' excuse, Gallant quit and then came Columbus' Jerry Dufek. 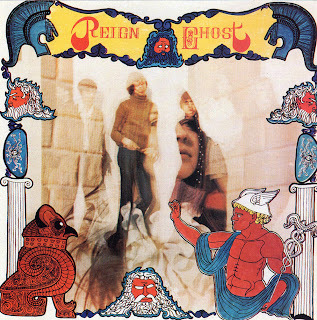 This line-up hooked up with Jack Boswell's Allied Records who threw them into a recording studio for the self-titled 'Reign Ghost' album in late 1968. The album was released in January 1969. However, the band fraught with internal conflicts once more and destroyed the band. Bryden and Squires moved on once again and hooked up with drummer Rich Richter and bassist Russ Erman who reclaimed the name Reign Ghost with the new comrades more than willing to become the New Reign Ghost. Allied was happy to have their name band back and offered to release the follow-up album 'Reign Ghost Featuring Lynda Squires', but before the album could be released, the band split up again. Bryden went on to join Christmas (aka Spirit of Christmas) and their first album, coincidentally was released by Paragon in July 1970 on the exact same day as they decided to release the 2nd Reign Ghost album. Lynda Squires went on to join the Canadian cast of 'Hair' and married Francis W. Davies (president of Daffodil Records and The Music Publisher). All songs by Bob Bryden except where noted. Reign Ghost was originally from Oshawa, Ontario, which is a city just east of Toronto. Bob Bryden (guitarist, male vocalist) was only 17 or 18 at the time, as was Lynda Squires. Bryden says that he was at a record store one day and mentioned that he'd love to hear his band on a record. 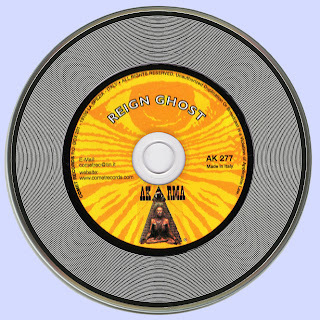 A distributor with Allied Records happened to be there and said that he'd pitch the idea of recording them to his boss, Allied boss Jack Boswell. According to Bob Bryden, the LP was recorded really quick, over a couple of weekends. It was recorded by Bill Bessey at his home studio, Spectra Sound. Jack Boswell of Allied (and his other labels, Paragon, Pentagon, Marathon) used Spectra Sound quite a bit. Other Allied/Paragon artists like The Plastic Cloud, The Folklords, Christmas (Bob Bryden's band after Reign Ghost) Frank Motley & The Hitchhikers, Roy Payne all recorded for Boswell at Spectra. Spectra was outfitted with a Crown 4-track recorder. Bessey would usually cut the band "live" to stereo (premixed to 2 tracks) and then leave the other 2 for vocals. One or 2 takes were maximum. Bessey and Boswell would pick the best take and work from that, with little or no input from the band. I don't think he did any tape-to-tape dubdowns for pre-mixing (ie: like what George Martin did at Abbey Road,) I think it was all done within the one 4-track machine. You can definitely hear the limitations of Bill Bessey's engineering. Tape stretches, and clicks and pops are often found in these vintage recordings. The next Reign Ghost album ("Reign Ghost, Featuring Lynda Squires") sounds much better. The quality of Bessey's engineering got better with time. 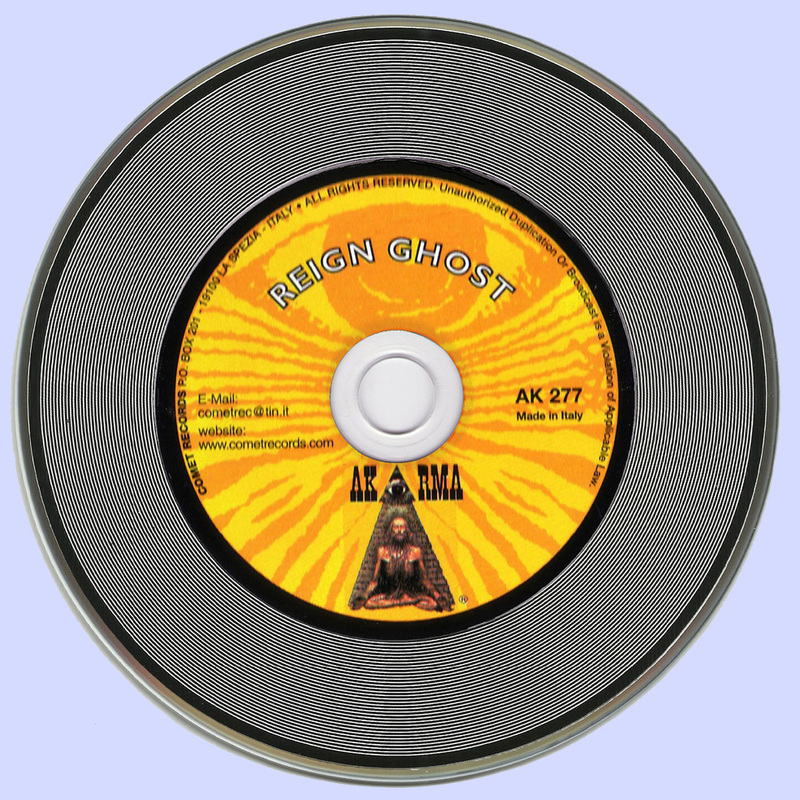 Bob Bryden now owns the rights to both Reign Ghost records and has often talked about re-issuing them. Akarma did the dubious act of using the Laser's Edge CD reissue (which WAS 100 % legit) as their source material. Akarma also re-issued the Plastic Cloud lp. According to Peter Burnside of Canada's Pacemaker Records (which re-issued the Plastic Cloud LP legitimately), no royalties were paid by Akarma/Comet to the Plastic Cloud guys or Jack Boswell himself. So while its nice to see the Akarma issues, remember they are glorified pirates. This is a fantastic taste of late 60's indie Canadian psych. Enjoy it, savor it and share it. Lets hope Bob Bryden does re-issued these records again.